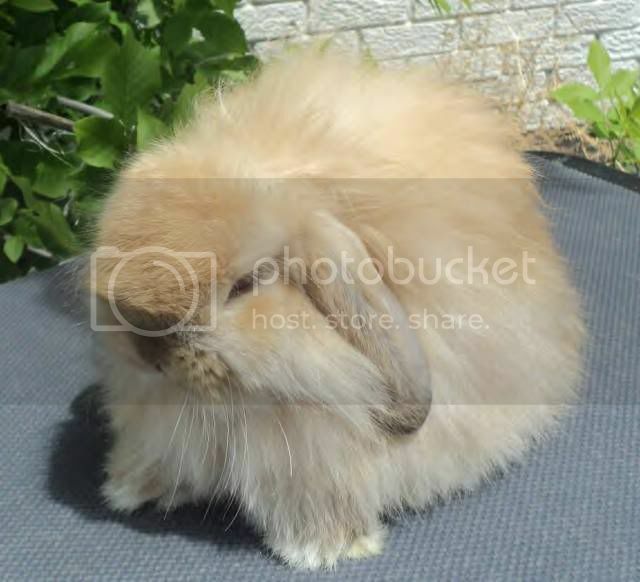 American Fuzzy Lop, Angora, Californian, Cinnamon rabbits for sale and more! All listings were checked and believed to be current at least as of April 2013, and many have been added since. I strive to keep this directory current. Feel free to report any expired links. This directory is a courtesy service. I do not know all of these breeders and cannot personally endorse them. If you are rabbit breeder and would like to be listed on this page, simply fill out this submission form! We raise for meat and show. We’re a small rabbitry of 175 holes and growing. production in a permaculture setting. Raising quality Satin (chocolate) and American (white) rabbits. SPECIALIZING IN RAISING ARBA SHOW QUALITY RABBITS. Breed/Raise/Show/Sell rabbits for 4-H and ARBA. We are a small breeder, always looking to improve the lines/breeds we work with. Netherland Dwarf, Dutch, Siamese, American Fuzzy Lop, Chinchilla. Pearl River NY, in Rockland County. Show, Brood and Pet quality available. ARBA Member. Small rabbitry raising bunnies for show & pet. Bunnies are handled daily. We are a small rabbitry in size, but big on the dedication of breeding Hollands and American Fuzzy Lops to ARBA standards. We are an ARBA registered rabbitry number A315. Zone 9 director for the HLRSC. Specializing in Holland Lops, American Fuzzy Lops and Lionheads, Mini Lop, Mini Rex. Show quality with pedigree. We started our rabbitry for the children. We love to work with children getting started in 4-H Clubs. Chico, California. 1 1/2 Hour North of Sacramento, CA. We raise Lionheads, Holland Lops, Angoras, and Netherland Dwarfs. We occasionally also have Lion Dwarfs & Lion Lops available. English Angora, Jersey Wooly, Mini Lop, Holland Lop, Mini Rex. German/French angoras. Specializing in Mini Rex. purchase of more than 1 rabbit. rabbits usually; great for children! Planning on adding more breeds! Check out our website to see what’s new! 2 hrs NW of Little Rock, or 2 hrs South of Branson, Mo. We are a small family farm in San Diego. We do fieldtrips for families and groups. 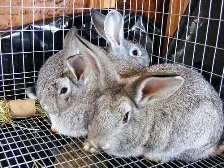 We are a family farm selling small quantities of rabbits. Please know that we cannot ship to areas outside of a 15 mile radius but welcome you to come into town if interested in our rabbits. Also raising chinchillas. Rescue all critters, too. Were located in strong, ME, just fifteen minutes from Farmington Maine where University of Farmington is located. We raise New Zealand/Californian cross, black Silver Fox, blue Silver Fox and Creme d’Argents. East TX near Lufkin, monthly transport available to east Dallas area. Quality Show, Breeding and Pet Rabbits available throughout the year. No Shipping but will try and help arrange ground transport. We are between Lubbock, TX & Levelland, TX. Mini Lop, Holland Lop, Mini Rex, Netherland Dwarf, Californian. just starting to raise rabbits, need help.